Own end-to-end learning & development programs across the organization, from individual contributors up to executives. Source & develop key relationships with top learning & development vendors. Develop, implement & maintain strategic training programs that support & align with larger company OKRs & initiatives. Own facilitation of L&D programming, partner with external vendors, & train other facilitators where necessary. Design learning solutions for all types of employee learners that include classroom training, e-learning & coaching. Develop & lead annual strategy with executive buy-in & own company-wide L&D budget. Manage partnership with LinkedIn Learning & optimize employee utilization of the platform. Establish, monitor & report on L&D metrics to ensure efforts & results are meeting Knotels needs. Consistently improve & evolve Knotels L&D programs as we continue to scale globally. You are an exceptional communicator who is able to present information in a clear & concise manner to ensure others understand ideas. 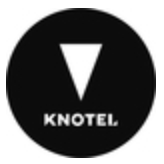 You adapt your facilitation style & messaging to accommodate for a variety of audiences & are passionate about driving Knotel employees forward in their professional development. Proven experience building & scaling learning & development programs.